Translated published edition in 2012, SAID TO BE ONE OF THE BEST BIOGRAPHIES OF SAINT FRANCIS: Francis of Assisi: The Life and Afterlife of a Medieval Saint by Vauchez Andre. May be purchased on amazon.com in used books. Saint Francis of Assisi by Omer Englebert. ISBN 1616366087, ISBN-13 9781616366087. The Franciscans by Brother Bill Short, OFM (TAU Publishing, LLC), 2nd edition (2013). ISBN-10: 1619561212, ISBN-13: 978-1619561212. Bonaventure: The Soul’s Journey Into God / The Tree of Life / The Life of St. Francis (The Classics of Western Spirituality), translation by Ewert Cousins. Poverty and Joy, The Franciscan Tradition by William J. Short, OFM. The Franciscan Tradition (Spirituality in History Series) by Regis J. Armstrong, Ingrid J. Peterson. Clare of Assisi and Saint Clare, Beyond the Legend, two books by Marco Bartoli. 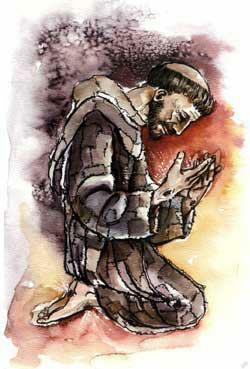 Franciscan Prayer by Ilia Delio OSF. Simply Bonaventure: An Introduction to His Life, Thought and Writings, 2nd Edition by Ilia Delio OSF. The Humility of God: A Franciscan Perspective by Ilia Delio OSF. Clare of Assisi: A Heart Full of Love by Ilia Delio. And all other books by Ilia Delio OSF. See listing at amazon.com. Francis of Assisi, Early Documents in 4 volumes: The Saint, The Founder, The Prophet, Index, ed Regis Armstrong OFM Cap, J.A. Wayne Hellman OFM Conv, William Short OFM. Clare of Assisi – The Lady: Early Documents by Regis J. Armstrong (Translator). ISSBN-10: 1565482212I; ISBN-13: 978-1565482210. Francis: The Journey and the Dream by Murray Bodo. Now You Know Media for EXCELLENT Franciscan material on CD’s and DVD’s: https://www.nowyouknowmedia.com/franciscan.html\. Saints Francis and Clare have bequeathed to all of us an extraordinary legacy. Join some of the world’s best Franciscan teachers in exploring Franciscan history, Franciscan spirituality, and the many other subjects our Franciscan professors and retreat masters know best. Imagine taking a single course from the likes of Br. Bill Short, Sr. Ilia Delio, Fr. Michael Crosby, Sr. Joan Mueller or Fr. Murray Bodo. Now you can enjoy hundreds of studio-recorded Franciscan lectures by these and many other Franciscan professors in your home or car. and Saint Bonaventure of Bagnoregio – Great website with video lectures, audios and other resources. TAU-USA, publication of the National Fraternity. To order a copy of the FUN manual, go here. Produced under the sponsorship of the Franciscan Order, Clare and Francis was shot on location in Italy by Italian film company Lux Vide—the producers of Saint Rita, Pope John Paul II, and St. John Bosco. It is unique among films on Francis because of its historical accuracy and its authentic spirit of joy and piety that Francis was known for, as well as the major role played by Clare, who is given equal stature with Francis. Purchase from Ignatius Press. reflection as a mirror without divinely inspired wisdom. has been cleansed and polished. you fall into a deeper pit of darkness.